Move In Ready!! Beautiful Ranch With Updated Kitchen & Baths. 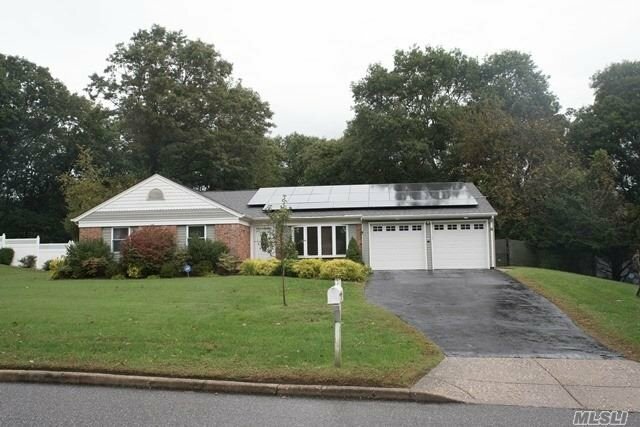 Granite, Oak Cabinets, Stainless Appliances, Vaulted Ceilings, Upgraded Electric, 2 Yr Old Owned Solar Panels (Electric Bill Less Than $15/Month! ), Recently Added Additional Insulation Behind Brick, Wood Burning Fireplace, Platform Added To Attic, 2 Car Garage.